Indoor Humidity Monitor Just $9.34! Down From $20! Shipped! 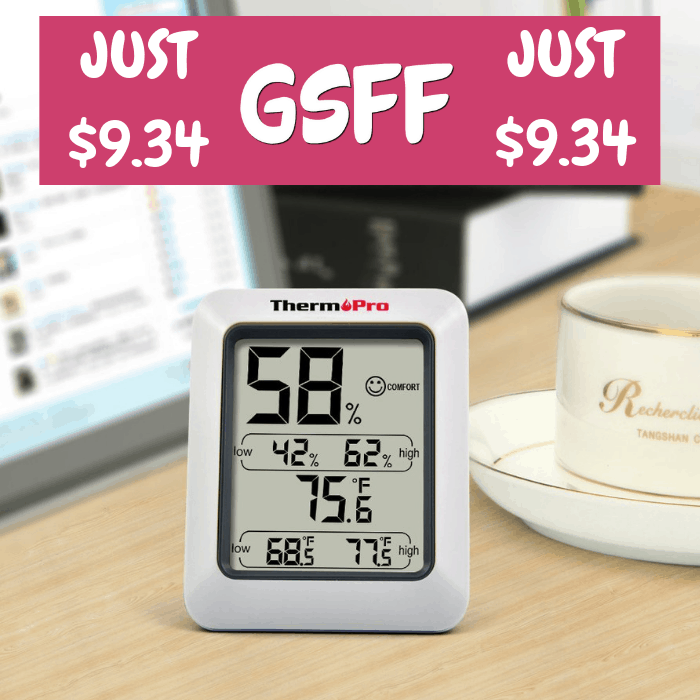 You are here: Home / Great Deals / Amazon Deals / Indoor Humidity Monitor Just $9.34! Down From $20! Shipped! Amazon is currently offering this Indoor Humidity Monitor for just $9.34 down from $19.99 PLUS FREE shipping! With highly accurate temperature readings and a wide temperature range from -58°F to 158°F (-50°C ~ 70°C), humidity range from 10% to 99% RH, the humidity meter TP50 is the perfect household device to keep you and your family’s living conditions optimal. Not just reliable readings, the temperature and humidity monitor is equipped to give you daily updates on the record humidity/temperature high and low of any given day, allowing you to compare the current readings to those of the past. Another convenient feature is the unit with extremely sensitive humidity sensor will quickly inform you of the comfort level (DRY, COMFORTABLE, WET) in the room based off the humidity. The digital hygrometer TP50 is easily portable and has a stand for table top use or a magnet if you wish to have your device attached to a household appliance!